A Senate committee held a hearing on its version of the bills last week and a House of Delegates committee has scheduled one for Thursday. Bonita Spikes and dozens of supporters gathered at the door of Asbury United Methodist Church, just a few blocks from the State House, before last week’s hearing. She told reporters she had "good insurance" when she was diagnosed with early onset Alzheimer’s disease. But she lost her job, lost her insurance and can no longer afford her medication because it’s so expensive. That’s why the bills are important to her, she said. At the Senate hearing, Dr. Leana Wen, the Baltimore City health commissioner, said the problem is not with new drugs but with generic medications that have been around for decades. "The question is, why are these prices increasing," she told the senators. "We need to know." According to a recent Money magazine article, drug prices have gone up by at least 10 percent a year over the last three years, while the overall inflation rate last year was just one percent. For example, the price of Daraprim, a 62-year-old drug used to treat a parasite infection in newborns as well as AIDS and some cancer patients, shot up 5,000 percent overnight, from $13.50 a pill to $750 a pill. State Attorney General Brian Frosh said the prices aren’t increasing because of increasing drug company costs, but "but because these companies were able to corner the market and exercise monopoly power." Frosh said he doesn’t mind drug manufacturers making profits, but "when they acquire and abuse monopoly power, they hurt patients, they threaten our healthcare and they damage our communities." 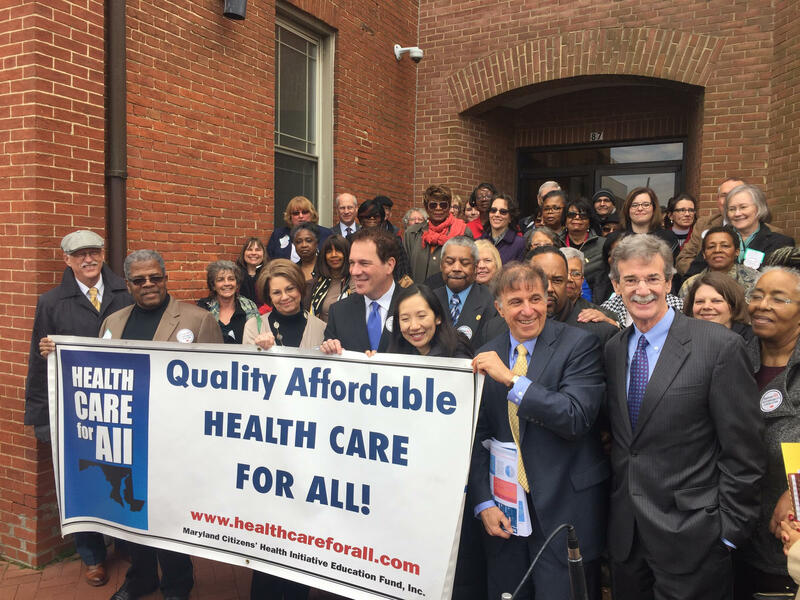 Baltimore County Executive Kevin Kamenetz told the committee the bills are aimed at exposing companies that increase prices solely for profit. "If we require them to tell us how much they pay for T.V. advertising that would actually shame them," he said. And it would "expose that this is all about trying to jack up price to make profit as opposed to put good drugs out on the market." But Senator Stephen Hershey, a Republican from the Upper Shore, wondered whether the bills might have unintended consequences. "Don't we put manufacturers in the position that they possibly could decide not to put drugs into Maryland," he asked. And Brad Stewart, the CEO of Immunology Partners Inc., a medical supply company also known as Cylex, Inc. warned that the bills could lead to the loss of high-paying jobs in Maryland. He said his firm "eliminated our employee position in D.C. due to the cost of compliance" after Washington lawmakers passed a law requiring licensing of sales representatives. His company also shut down operations in Vermont and Massachusetts because of regulations, he said. The bills have a large number of sponsors in both houses, but that doesn't guarantee passage.